Negros Island is the perfect place to come home to for the summer. Owning a second home lets you enjoy longer vacations during summers and Christmas holidays. Having property in Bacolod lets you have access to some of the great beaches in the country — Sipalay, Sagay, and many other places in Negros. You can even drive to Dumaguete to go whale and dolphin watching. Active Group’s Centrale Bacolod is one of the newest subdivisions rising in the city offering lots for sale. It is located in Barangay Eroreco near La Salle Bacolod and St. Scholastica’s Academy. It is in the center of town near friends you grew up with. If you seek to get away from it all, you can simply spend a few days at any of the nearby white sand beaches. Owning a Bacolod City house and lot lets you enjoy vacations in your hometown without the cost of expensive hotel accommodations. Watch the video below to learn more about Centrale lots for sale. Email bacolodcentrale@gmail.com for inquiries or a price computation. If you are visiting Negros this summer, call 0917-304-0575 to reach a licensed and Centrale accredited agent who can take you for a site visit during your summer vacation in Bacolod. 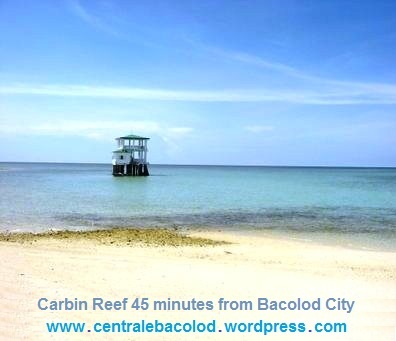 This entry was posted in Centrale Bacolod, Negros Real Estate, Real Estate Tips and Advice, Video and tagged Bacolod City Lots for Sale, Centrale Bacolod, Centrale Bacolod Video, centrale lots for sale bacolod, Lots for sale Bacolod, Negros Real Estate, Real Estate Tips and Advice, Video. Bookmark the permalink.